The axis of love spins at a very high frequency, and the children of the God are dynamically attunded to this spinning. Through their spinning, a web of light and love is spin into the world. 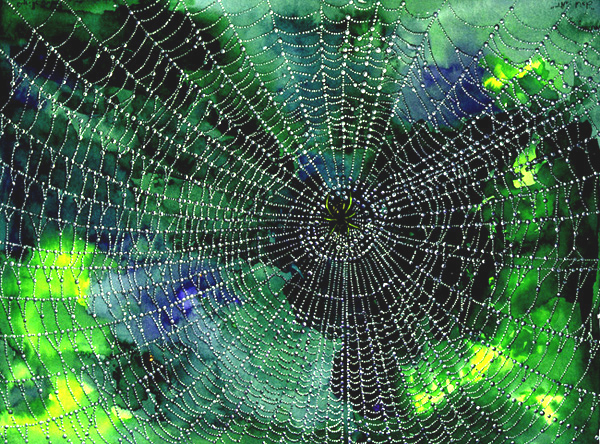 In this way, the axis of love creates a web through out the world, throughout all the levels of creation. Through this web of light the world is sustained by a direct access to love that is not distored by the patterns of illusion. Loved is present throughout all of creation; it is the substance of every atom. Yet this substance of love does not know its own meaning or potential, it is not charged wtith divine consciouness. Love that is charged with divine consciousness has the potential to awaken humanity to its real nature and purpose. The Friends of God are here in service to this work. They have the ability to infuse a quality of divine consciousness, sirr, into the web of light where it is needed. This is why “transmission” or” sucession”( the conncection from teacher to teacher) is so important. Through this lived link the energy of divine consciousness, sirr, is given. Without this link the energy of sirr remains on the inner planes and does not penetrate through all the levels. The web of light is the highest energy pattern in the world. Humanity cannot take its next step in evolution without it. . . . A current of divine energy, come together both on the inner and outer planes. These currents of energy flow faster and also merge together into oneness. In oneness they do no lose their individual quality, their particular vibration or note. Rather this is amplified, made perceptible and accessible. At the same time each path sings the song of divine oneness. The coming toether of spiritual paths enables His hidden oneness to become more visible and with this will come the knowledge of how oneness works in the world. Only by recognizing the energy of oneness itself can we learn how to work with it. From the axis of love, the hearts of the Friends of God, a new quality or frequency of love is being released, given to the world, to help with this work. This is love charged with divine consciousness. Love and knowledge are being brought together in a new way, so that we can have more direct access to the knowledge that we carry within our hearts and souls. Part of the work of the lovers of God is to weave together the inner and outer worlds so that the inner can become visible, so that what is written in the book of love can become known. The worlds are being woven together with the substance of their hearts, because this is the way lovers perform their work: they give of their own essence. As the worlds are woven together, the knowledge of love and the secrets of oneness can flow more freely unrestricted by the distiction between inner and outer. The hearts of many different lovers are being linked together, because love flows fastest through the open hearts of lovers of God. When love flows through their hearts, it brings with it the knowledge of oneness. This knowledge is imprinted into their hearts, form where it can come into consciousness. With the knowledge of oneness, comes the work that each one needs to do, and how we can best participate in this miraculous unfloding. As we participate, this knowledge is made acessible to us—the more we participate the more complete the knowledge that is given. 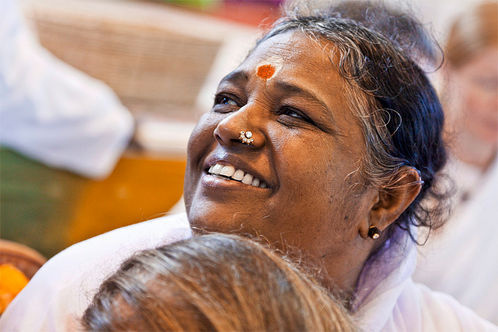 This is part of the way oneness works in the world. At the beginning we get just a hint, an intuition. We do not know that this hint is like a seed that contains within it a blueprint of our work. But as we live the hint, as the inner becomes part of our everyday life, the blueprint becomes gradually more accessible, it details more visible. If it is not lived the seed dries up, its potential unrealized, ad the knowledge of oneness fades away. Life’s natural simplicity has been forgotten. . . It is the simplicity of relating to life as a continual flow rather than relating to a multitude of events that fill our day or years. It is as if we are flowing faster and faster down the river of lie, and as our attention remains focused on the river banks, we see objects, people, situations move past more and more quickly. We cannot stop the river, just as we cannot slow down the evoulution of our culture. But we can learn to look at life in a different way. If we see life just from the perspective of the objects on the banks, our life will become an indistinguishabel blur as we try to assimilate everything that is passing us by. But if our attentiion shifts to the flow of the river, to the water that carries us, then a fundamental implicity will retrun. We will realize athat we are part of the natural process of life itself that is always changing and yet retains its essential qualities. Looking to the banks of the river, we see the isolated incidents of life the seemingly static objects that pass us by. The faster the flow, the more these seem to change, and the more anxious and insecure we become as we try to hold on to what is passing. Although we are caught in a flow we cannot stop, and even slow down, we try to give ourself an image of stability by keeping our attention on the fixed objects on the river banks. But maybe life is trying to turn our attention elsewhere, to have us realize a different attitude, one that does not define life by distinct objects or fixed events, but by movement itself, by the very dynamic of change. Earlier cultures saw life in terms of the chnging seasons, a natural turning of which they were a part. In this continual change everything has its place; even ties of drought or hardship were valued.